Can Sinus Problems Cause Dizziness? Although dizziness is not one of the first signs or symptoms of allergic rhinitis, it can easily affect someone suffering from hay fever. Hay fever is a chronic allergy condition that is caused by airborne allergens such as pollen from trees, weed or grass, according to MedlinePlus. Allergic rhinitis primarily affects the sinuses and eyes and can in return affect the throat, the head and the inner ear. Talk with a doctor if dizziness persists. Allergic rhinitis, or hay fever, affects one in five people in America with cold-like symptoms, such as nasal congestion, coughing, watery eyes, a runny nose and sore throat, according to the Mayo Clinic. When someone with allergic rhinitis inhales or comes into direct contact with an allergen, the immune system overreacts, causing nasal inflammation and eye irritation. Health.com states that the primary reason for dizziness as a result of allergic rhinitis is the blockage of the eustachian tubes. The eustachian tubes allow fluid to drain from the ears into the throat. During an episode of hay fever, the tubes can easily become blocked, causing fluid to build up in the ear. This is the result of inflamed sinuses placing excessive pressure on the ears and surrounding areas. The result of the eustachian tubes being blocked can affect a person’s equilibrium, the portion of the ear that promotes balance, according to Health.com. When a person's equilibrium is affected, he will feel off balance or dizzy. Dizziness can lead to vomiting and the inability to function normally. If dizziness affects the person’s ability to perform normal tasks, he should seek medical assistance. Treating dizziness from allergic rhinitis begins with treating the allergic reaction. Hay fever is treated by avoiding allergens, such as dust, mold and pollen, according to MayoClinic.com. Over-the-counter medications such as antihistamines, pain relievers and decongestants can help alleviate symptoms of allergic rhinitis, according to MedlinePlus. An antihistamine blocks the body’s ability to produce histamine, the chemical that causes allergic reactions; it will also reduce the amount of fluid in the ears, providing relief to the dizziness. Talk with a doctor before taking any medication. Dizziness may be a sign of a more serious condition. Have a doctor evaluate the signs and symptoms to make a professional diagnosis. If the ear is painful or oozing discharge, seek medical attention. 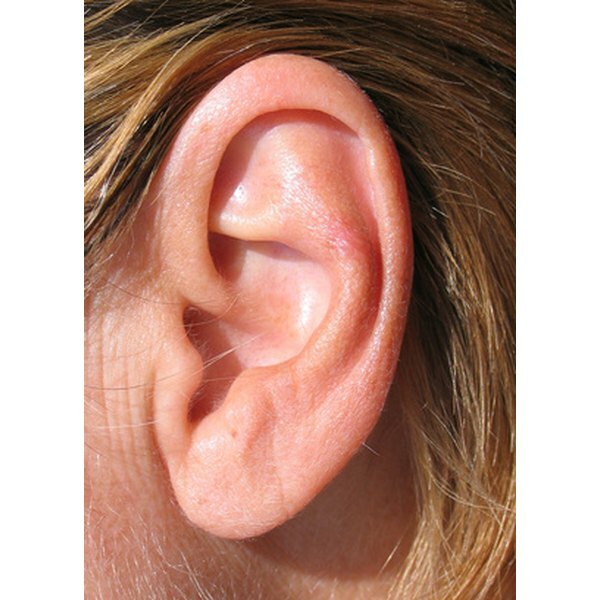 These can be signs of an ear infection or ruptured ear drum. What Are the Causes of Intermittent Dizziness?